Over the years, I have seen the good, the bad, and the ugly when it comes to companies wanting freelancers and agencies to tender for their social media marketing work. Whether a company’s brief is good or bad is always a subjective issue – for me, there are some things that put me right off bidding which would be attractive to someone else but that’s the reality of dealing with a people-centred service. There are lots of things I find attractive and lots of things that put me off. I can spot a red flag from twenty paces and one thing that puts me off straight away (to the point where I don’t even read the rest of the brief) is working on a commission-only basis. 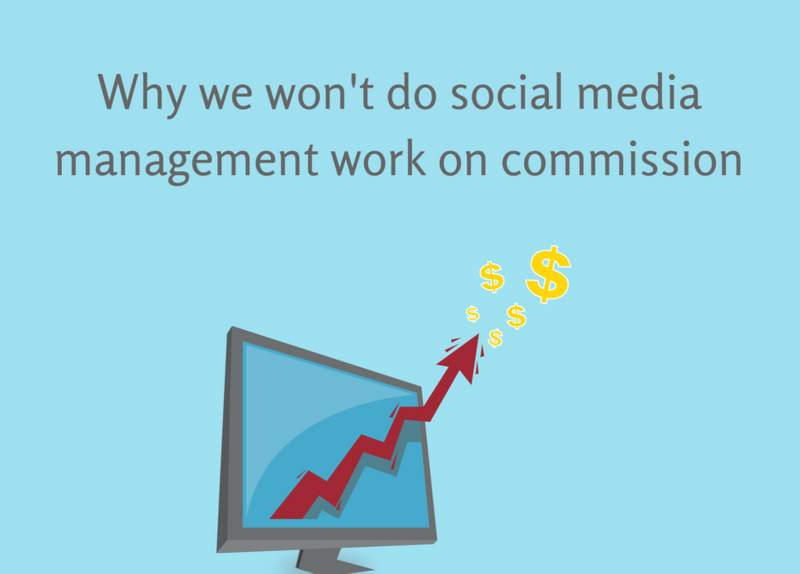 Here are five good reasons why a commission-based deal does not work for me as a social media freelancer, or as a social media agency owner. My earnings depend on what exactly? If the time spent working on your social media marketing is compensated by commission, I want to know exactly what it is I will be helping you to sell. Essentially my earning power depends on the saleability of your product so if your product is low-demand, low-margin, or just a pile of tripe, then it’s a no from me. I don’t earn until you do, and even then it could be buttons. My success depends on your success, and if you’re not convincing me you’re committed enough to your own business model to give me the best possible chance of making it a success for both of us, then it’s not happening. If you pay me on commission, unless it’s work that is proven to pay me more per hour of my time than my regular paid work (category 3 as a minimum), it will always be a category 6 task. Probably right after repotting my growing tribe of houseplants and planning my next travel blogging trip. You won’t get any sort of service from me on a normal week, and I assume that you want some work doing at some point, no? As most self-respecting social media managers, I have a background in commercial management and economics and I fully subscribe to the theory of incentives. As soon as I see you want something on a commission basis I make the assumption that you’re not confident enough in your business model to want to pay me a set rate per hour or per month. If you thought my work would result in you making a high amount of sales you would surely be happier to pay me a set fee rather than give away precious commission? Only if the potential commission payments were projected to be lower than my hourly rate would you suggest working on a commission basis because if you thought for one second that I could, through social media alone, sell enough products for you to pay me a huge commission then you’d seek to reduce this through a capped hourly rate. I know I would! How do you keep track of commission? For this to work, we’d both need a transparent way of knowing exactly which social media posts had turned into business for you. There are clever things you can do with affiliate links and tracking in website analytics to keep track of what’s been purchased through specific links, but social media is about more than just pumping out links to stuff. What about the bigger picture of social media being a more holistic marketing exercise? What about questions coming in on messages? Would they be tracked? How do you know that a customer has bought a product as a direct result of the efforts I put in on social media? Until you can convince me that you have a cast-iron system for tracking all of this (and I know damn well how hard it is to prove ROI on social media marketing, remember) then I know that paying on a commission basis just isn’t an easy solution. A guaranteed set fee for the hours that I work make me happy. You see, it means I can pay my staff for the time they spend on your social media work. It means I can plan, at least for the next couple of weeks, and it means everyone knows where they are. If you find after a little trial that you’re not getting the results you want from social media to justify paying Social Bods to do your social media marketing, then that’s fine with us; you can stop any time. But at least we’ve been compensated for the time we’ve endeavoured to do our best to give your business the best chance possible for success. Look. I’m probably being harsh. You might find someone who totally believes in your product enough to want to work for you for a share of the profits. You might find an entry-level social media manager who is looking to broaden their portfolio and get extra experience and sees the commission as a bonus. You might get someone experienced and skilled who is happy to work for an unspecified amount (perhaps even nothing) on the chance that they make big bucks out of you. All I’m saying is that by offering work on a commission-basis you might not get to be so choosy in who you get to work for you. If you want to incentivise results, you could always offer both; a basic hourly rate plus bonus commission per sale. You just best make sure you have a simple way of working out this commission fairly and transparently. What do you say fellow social media freelancers? Are you happy to work on a commission basis? 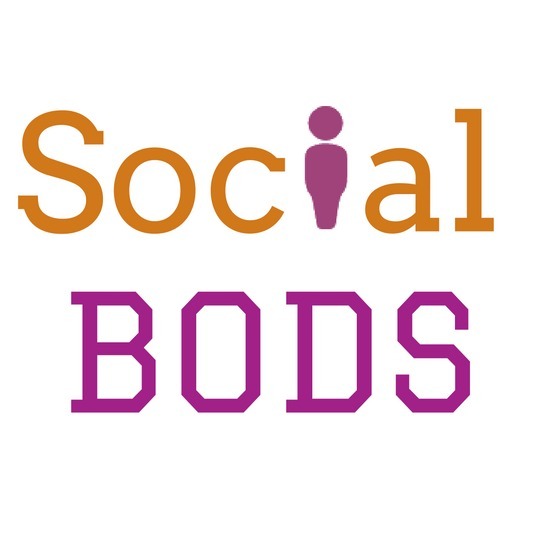 Joanne Brady is an experienced social media manager and chief bod at Social Bods. She does not work on commission. And she loves Miss Piggy.